Kojiro Shiraiwa author of The Butterflies of San Diego County addressed the DHOSA members at their year end meeting (Saturday, December 17, 2016) to give a summary and orientation of ways to collect butterfly data to be collected throughout 2017. The species list generated would be compared to other years of butterfly presence or absence. 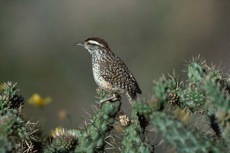 In particular the list will be compared to the historical 1967 survey of Hilltopping Butterflies done by Oakley Shields. 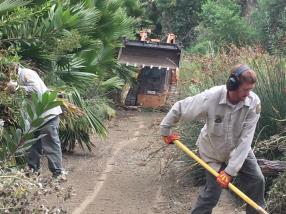 The County Parks Trail Crew was busily working in late August 2017 to repair the county trail easement that runs through the open space canyon from the trailhead at the end of South Barcelona Street. The popular path, which DHOSA volunteers have helped maintain for several years, suf-fered extensive erosion in the swift run off from those heavy rains last winter. 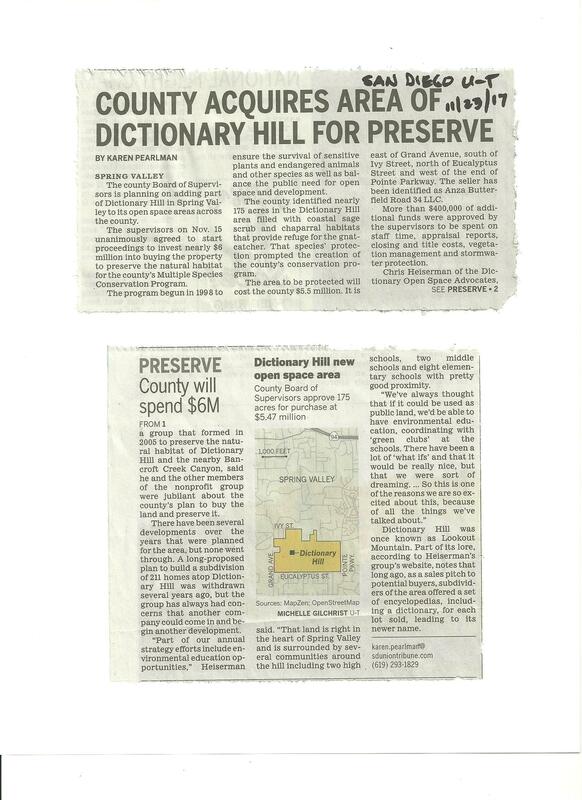 Board of Supervisors unanimously authorized the purchase of Dictionary Hill (175 acres) at a hearing on November 15, 2017. More than a dozen DHOSA members were on hand to cheer the vote. Union Tribune article reported the event on 11/23/17. 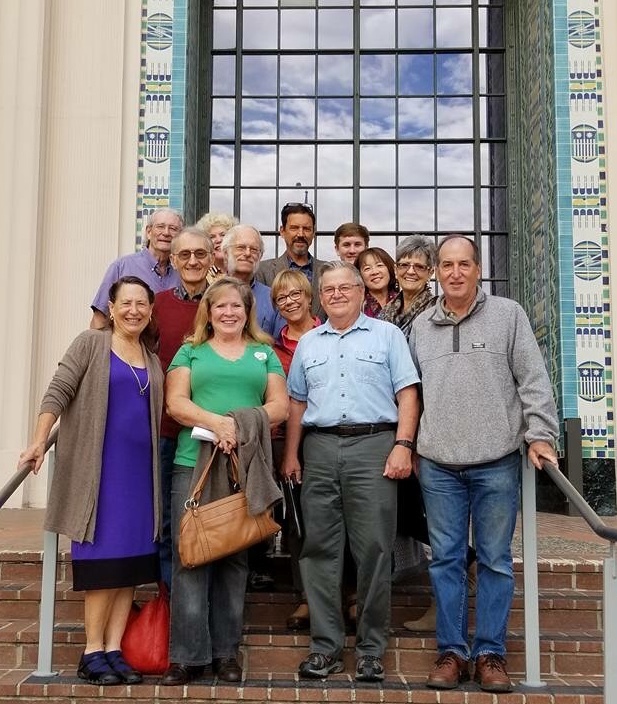 County Park Ranger Craig Newson came to the October 20 DHOSA meeting and shared his thoughts about his first few weeks on the job, patrolling the new Dictionary Hill Open Space Preserve. More than two dozen members came to meet the new ranger and ask lots of questions.